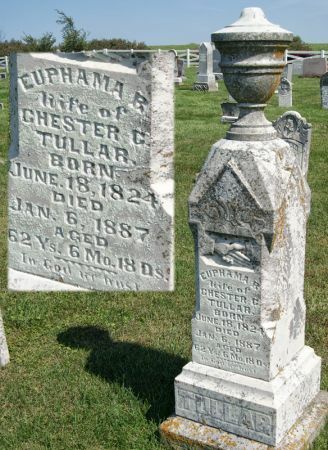 Euphama Rebecca Myers was born June 18, 1824 in New York State and died Jan. 6, 1887 in Hopkins, Nodaway Co., Missouri. She married Chester Cook Tullar. Searching for EUPHAMA REBECCA "FAME" MYERS TULLAR in Taylor County Iowa?